South African Airways’ (SAA) controversial appointment of little-known finance company BnP Capital was not only expensive; it also put on hold an approved banking tender to Nedbank. News24 can exclusively reveal that SAA’s board approved the awarding of banking services to Nedbank on May 27, for five years, at an estimated cost of R278m. But the awarding of this contract would be on condition that the “Nedbank contract [be] deferred subject to [the] debt consolidation process finalisation”. The debt consolidation process that was underway at the time was the appointment of BnP Capital, a “boutique financier”. It was appointed to advise the airline how to restructure its R15bn debt. This would be done for a fee of R256m – even though SAA’s treasurer, Cynthia Stimpel, said it could be done at a fraction of the cost. BnP Capital won the contract in March ahead of several well-established companies, including Nedbank, Regiments and Deloitte & Touche. According to the Financial Services Board, BnP Capital’s licence to operate as a financial services provider had been suspended earlier in the year. According to the banking award documents, the deferment of Nedbank’s contract would be for six months. Six members of the SAA board, including chairperson Dudu Myeni, signed the agreement. Last week, the Sunday Times reported that Nedbank suspended senior employee Masotsha Mngadi because of his involvement in BnP Capital and its fundraising transaction with SAA. Mngadi sent emails to SAA on behalf of BnP Capital asking if they had received the company’s tender documents. “The individual who delivered our submission envelope, delivered it on 17 March 2016, between 17:00 and 18:30, was wearing a navy blue suit, powder blue shirt, no tie,” Mngadi said in the email. The adjudication council form noted that all the companies that had tendered as a transaction advisor had done so electronically, except for BnP Capital, which hand delivered the documents. The Organisation Undoing Tax Abuse (Outa) said last week that they intended interdicting the BnP Capital deal. Their outcry led to SAA putting the deal “on ice”. Outa said in a statement on Monday that this was not good enough. They wanted SAA to cancel the contract or they would go ahead with the application for the interdict. “SAA cannot simply put the deal ‘on ice’, as we maintain their appointment is completely unlawful, even if BnP manage to get the suspension of their FSB licence lifted,” Outa’s director of legal affairs, Ivan Herselman, said. The organisation said it had asked Treasury to put BnP Capital on its “restricted suppliers” list for failing to disclose the suspension of its FSB licence. This would prevent all government institutions from doing business with them. Forensic investigator Paul O’Sullivan, who investigated the BnP Capital deal, is currently facing charges of extortion, intimidation, fraud, forgery and uttering along with previous chief executive of SA Airways, Monwabisi Kalawe, and the chief operating officer of the Mogale City council, Abednego Mbulawa. Myeni is the complainant in the case. O’Sullivan believes he was arrested at the beginning of April because he had been investigating SAA and had opened a docket on his findings in January. Supplementary information was added in March this year, including alleged wrongdoing by the SAA board. O’Sullivan said that by working for both BnP Capital and Nedbank, Mngadi must have cost Nedbank millions, not only for losing out on the tender that BnP Capital received, but also for the six-month delay in the banking tender. Nedbank spokesperson Esme Arendse said they were investigating the matter. “Nedbank has become aware through internal processes of an employee’s irregular participation in a matter involving South African Airways and has initiated an urgent and detailed investigation to ascertain the facts. The employee formed part of a team of bankers focusing on the public sector, his day-to-day responsibilities in this role have involved sourcing of opportunities between the client and the bank,” Arendse said. Arendse said Nedbank could not provide details of its banking relationship with clients due to banker-client confidentiality. 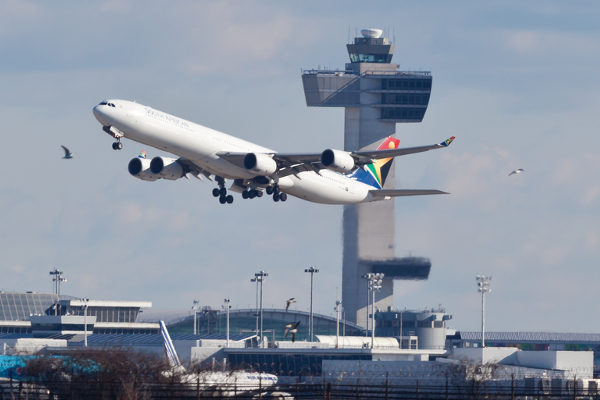 SAA spokesperson Tlali Tlali said the tender process on banking services had yet to be finalised and it would be improper for the airline to comment. Mngadi said he was in a meeting before putting the phone down.He did not reply to WhatsApp messages.